That's not funny. That's my bone. 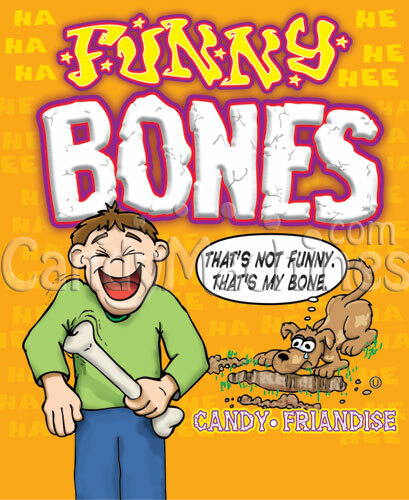 Get a good chuckle out of this sweet and tangy funny bone candy. These 3 dimensional pressed powder candies were made for vending in candy machines. Their brilliantly colored coats will shine and sparkle in order to attract attention to themselves in any candy vending machine. 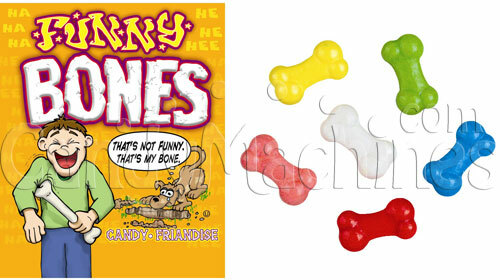 They come shaped like authentic bones! This mix includes Fruit (White), Lemon (Yellow), Cherry (Pink and Red), Lime (Green), and Grape (Blue). 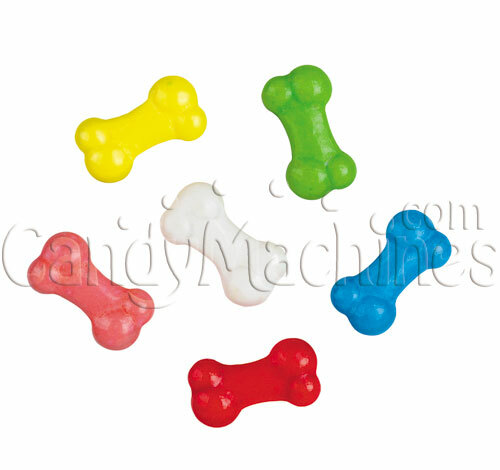 Need a machine to vend these funny bone candies? Be sure to see our full line of candy vending machines.